In the new “All-Time Teams” trailer to “NBA 2K18” one can look at the different legends of the sport. 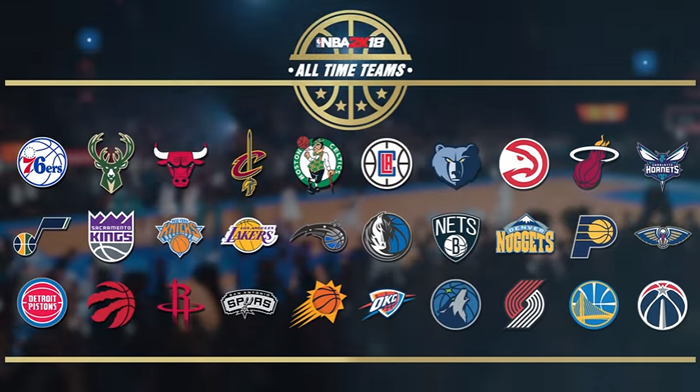 2K Games has released yesterday the “All-Time Teams” trailer for “NBA 2K18”, which shows the greatest basketball players of all time. They will be playable in “NBA 2K18”, of course. “NBA 2K18,” developed by Visual Concepts, will be released on September 15, 2017 for PC, Xbox One, PlayStation 4, Switch, Xbox 360 and PlayStation 3.